Happy Hour has been extended to include Saturday! Join us Monday through Saturday in the lounge from 4:30 to 6:30 for two for one well drinks, house wines, and domestic beers! This famous, half-pound burger has been a Maxie’s favorite for over 50 years. 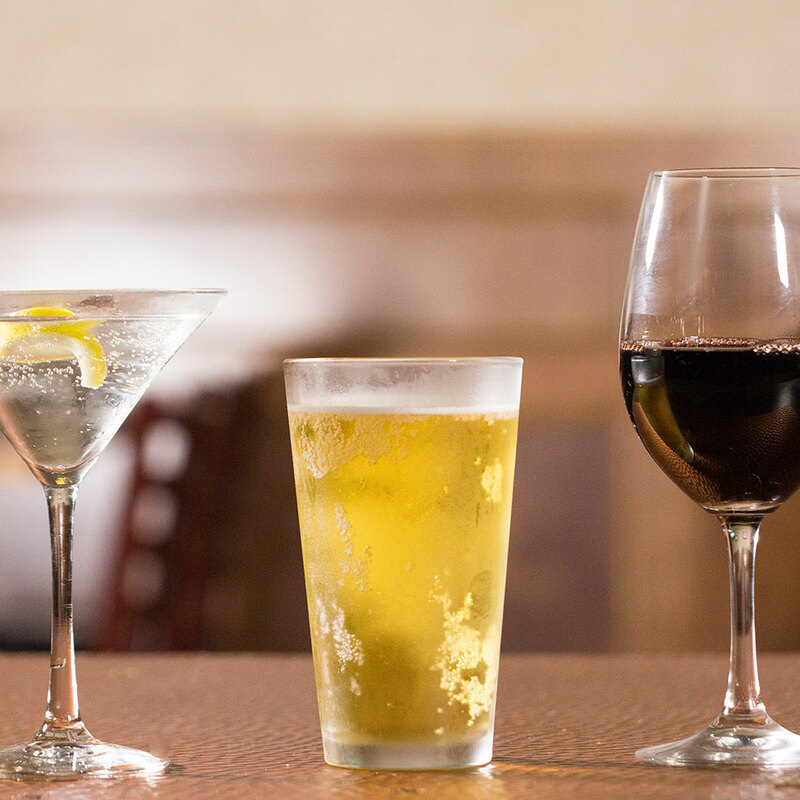 Join us in the lounge for two for one well drinks, house wines and domestic beers every Monday through Saturday from 4:30 p.m. to 6:30 p.m.
Maxie’s serves mouthwatering dishes, including sandwiches, pasta, chicken, steaks, seafood and more. Since 1967, we’ve taken a simple approach to dining by offering great food, great service and great value. We invite you to #MeetAtMaxies Monday through Saturday for lunch, dinner and drinks. Located in West Des Moines, Maxie’s Restaurant and Lounge has been a family favorite for more than 50 years. With a comfortable atmosphere and expansive selection of entrees, Maxie’s is the perfect place to dine with family, friends, clients or business associates. Lunch is served from 11:30 am to 2:30 pm. Tender artichoke hearts sumptuously melded between spinach and parmesan cheese. Served with crispy pita points. Crispy fried wings with your choice of Ranch or Blue Cheese Dressing. Tasty bites with sweet and tangy BBQ sauce. Deep fried bites loaded with cheddar cheese. Gooey melted mozzarella fried to a crispy golden brown. Served with French fries and our award winning onion rings or a crisp dinner salad. Enjoy that backyard grilled flavor with every bite of our thick and juicy ½ lb burger. Served on a toasted bun topped with lettuce, tomato, a fresh slice of onion and dill pickle. Served with french fries and our Award Winning Hand Made Onion Rings. Our 1/3 lb Maxieburger grilled to order served with lettuce, tomato, onion and pickle along with fries and onion rings. Thick and juicy 1/2 lb beef patty with BBQ sauce, American cheese & bacon topped with our famous onion rings. Served with fries & rings. Juicy 1/3 lb patty on grilled marble rye bread topped with melted Swiss cheese with sautéed onions. Served with fries and rings. Our full ½ lb Maxieburger grilled to order, served open faced and smothered in our homemade rarebit sauce. Served along with french fries & onion rings. Our tender and juicy 7 oz top sirloin steak hand rubbed with our private blend seasoning served open faced on toast with your choice of potato and onion rings and a crisp salad. A timeless favorite for over 50 years! Layers of shaved corned beef stacked on rye with sauerkraut and melted Swiss cheese grilled to perfection. Served with fries and onion rings. Pork loin, hand cut & hand breaded on a toasted bun fried to a golden brown. Served with french fries and onion rings. So big it doesn’t fit the bun! Toasted bread loaded with bacon, crisp lettuce and fresh tomatoes. Served with fries and onion rings. Triple decker loaded with layers of ham and turkey and cheese along with bacon, lettuce & tomato. Served with fries and rings. Toasted hoagie roll loaded with Italian sausage and bubbly melted mozzarella in our homemade marinara sauce. Served with fries and onion rings. Layers of tender slices of roast beef topped with melted Swiss, sautéed onions and peppers. Served with fries & rings. Layers of tender sliced roast beef piled on a toasted hoagie roll served with au jus for dipping along with french fries and onion rings. Classic grilled cheese, can’t go wrong favorite! All Maxie’s chicken sandwiches feature a char-grilled boneless, skinless chicken breast on a toasted wheat bun. Served with fries and onion rings or a dinner salad. Tender and juicy boneless chicken breast, served on a toasted wheat bun with green leaf lettuce and tomato. Served with french fries and onion rings. Bacon, Swiss cheese, lettuce and tomato. Smothered with sautéed muchrooms, Swiss cheese, lettuce and tomato. Pepper Jack cheese, lettuce and tomato. Seasoned to perfection meatballs atop a bed of pasta covered in our rich marinara sauce. Served with a fresh crisp salad and garlic bread. Pasta shells baked in our rich homemade marinara sauce along with Italian sausage then topped with loads of bubbly melted mozzarella cheese. Served with garlic toast and a fresh crisp dinner salad. Start with a mound of tender roast beef on two slices of fresh bread accompanied by creamy home style mashed potatoes topped off with loads of gravy. Our full ½ lb burger without the bun, grilled to your taste, served with french fries, onion rings and crisp salad. Golden fried strips are crispy on the outside and juicy on the inside. These all white meat strips are packed with flavor. Served with choice of potato and onion rings. Tender shrimp served on a bed of fresh crisp lettuce greens topped with egg, tomato, carrots, shredded cheddar jack cheese, lemon, garlic croutons and your choice of dressing. Our flame broiled tender and juicy chicken breast atop a mound of fresh lettuce greens along with tomato & sliced egg. Our succulent golden fried chicken strips, crispy on the outside, juicy on the inside. Served on a bed of fresh lettuce greens along with tomato, egg, cheddar jack cheese and garlic croutons. House specialty Italian, creamy parmesan, French, 1000 Island, Hidden Valley Ranch, honey mustard, creamy Italian, bleu cheese (add .75). Ask about our fat-free dressings. Extra dressing .75. Moist white cake with buttercream icing topped with tender coconut flakes. Three layers of luscious chocolate cake with creamy fudge frosting. A moist and spicy carrot cake topped with luscious cream cheese icing. Old fashioned shortcake topped with loads of strawberries and whipped cream. Served warm with a scoop of vanilla ice cream and drizzled with caramel and whipped cream. Rich cheesecake with a raspberry swirl. Kids eat for $1.00 on Mondays! 12 and under, one per adult entree. Enjoy that backyard grilled flavor with every bite of our thick and juicy 1/2 lb burger topped with lettuce, tomato, onion, and dill pickle. Served with choice of potato and onion rings. Pork loin hand cut & hand breaded and fried golden brown. So big it overlaps the toasted bun! Served with choice of potato and onion rings. Enjoy that backyard grilled flavor with every bite of our thick and juicy ½ lb burger. Served on a toasted bun topped with lettuce, tomato, slice of onion and dill pickle. Served with french fries and our award winning hand made onion rings. Thick and juicy ½ lb Maxieburger topped with sweet & tangy BBQ sauce, American cheese, bacon & onion rings. Our ½ lb Maxieburger topped with rich homemade spaghetti sauce, Italian sausage and bubbly melted mozzarella. Served with french fries & rings. Our pork loin, hand cut & hand breaded then fried to a golden brown sits on a toasted bun topped with a slice of ham, melted cheddar jack cheese, lettuce & tomato. Served with french fries & onion rings So big it overlaps the bun! Pasta shells baked in our rich homemade marinara sauce along with Italian sausage and topped with loads of melted bubbly mozzarella cheese. Served with garlic toast & crisp dinner salad. Our perfectly seasoned meatballs top a toasted hoagie roll with our homemade marinara sauce and bubbly melted mozzarella cheese. Served with french fries & onion rings. Choose any of our daily specials. Dinner is served from 4:30 pm to 9:00 pm. Tasty bites with sweet & tangy BBQ sauce. Crispy fried wings & legs with your choice of Ranch or Blue Cheese Dressing. Our tender and juicy 7oz top sirloin steak hand rubbed with our private blend seasoning served open faced on toast with your choice of potato and onion rings and a crisp salad. Tender and juicy grilled boneless chicken breast served on a toasted wheat bun with green leaf lettuce and tomato. Served with choice of potato, onion rings and a crisp dinner salad. Pork loin hand cut & hand breaded then fried to a golden brown. Served with choice of potato and onion rings So big it doesn’t fit the bun! Layers of tender sliced roast beef piled on a toasted hoagie roll served with au jus for dipping with your choice of potato and onion rings. Our ½ lb Maxieburger grilled to order, served open faced and smothered in our homemade rarebit sauce. Served along with your choice of potato & onion rings. A timeless favorite for over 50 years! Layers of shaved corned beef stacked on rye with sauerkraut and melted Swiss cheese grilled to perfection. Served with your choice of potato along with onion rings. Served with salad, warm roll & butter, potato (French fried, cottage fried or baked) and onion rings. Voted the best dinner value in the area! Maxie’s juicy and flavorful 7oz Top Sirloin hand rubbed with our private blend seasoning, grilled to your taste and served with two golden fried breaded butterflied shrimp, choice of potato, Maxie’s award winning onion rings, a crisp salad and dinner roll. Anything but average, our 12oz sirloin is expertly broiled over open flame. Flavored with our private blend seasoning. Maxie’s 8oz ultimate tender filet enhanced with our private blend seasoning. Broiled expertly to melt in your mouth. Medium well and well done filets will be butterflied. Our tender steak is well marbled for peak flavor and deliciously juicy. Our private blend seasoning brings out the flavor beautifully! 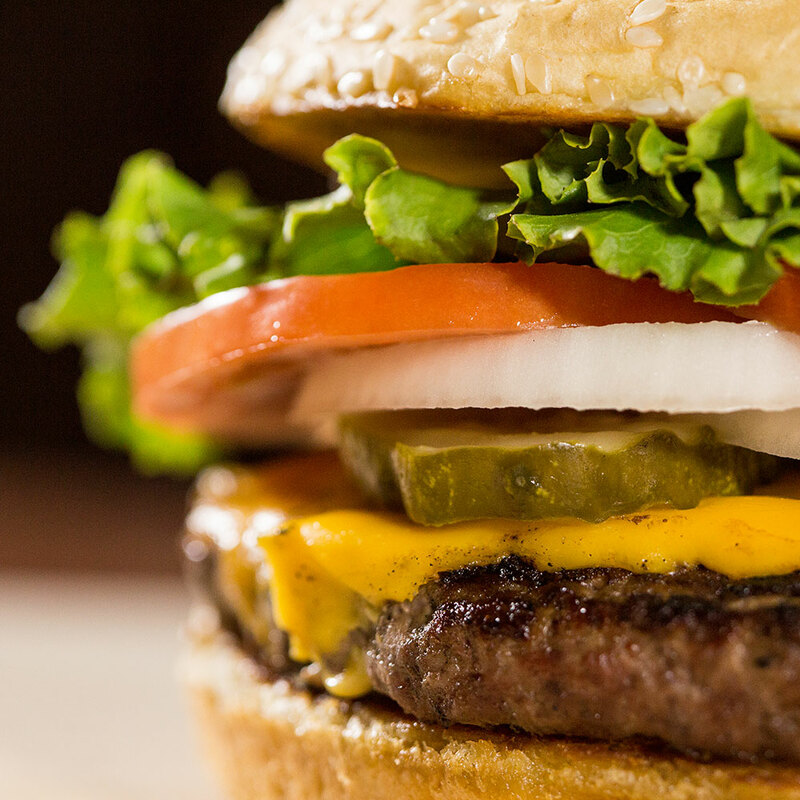 Our flavorful thick ½ lb burger without the bun, grilled your taste. Our succulent golden fried chicken strips, crispy on the outside, juicy on the inside, served on a bed of crisp lettuce along with tomato, egg, cheddar jack cheese and garlic croutons. Our flame broiled tender and juicy chicken breast atop a mound of fresh lettuce greens, carrots, tomato & egg. House specialty Italian, creamy parmesan, French, 1000 Island, Ranch, honey mustard, creamy Italian, bleu cheese (add .75). Ask about our fat-free dressings. Extra dressing .75. Slow roasted, fall off the bone, rack of pork loin back ribs basted with sweet and tangy BBQ sauce. It’s melt in your mouth perfection! Tender and juicy honey and apple marinated boneless chops broiled over open flame to sear in the flavor. Served with salad & warm roll. Rice pilaf with teriyaki-glazed breast, steamed vegetables and egg roll. Served with salad, warm roll & butter, potato (French fried, cottage fried or baked) and onion rings (except where noted). Two beer battered Alaskan cod filets fried to golden perfection. A flavorful medley of fried shrimp, scallops and clams . Served with a crisp dinner salad and toasted garlic bread. Seasoned to perfection meatballs atop a bed of pasta covered in our rich marinara sauce. Layers of pasta, cheese and Italian sausage covered in our homemade rich marinara sauce topped off with loads of bubbly mozzarella. A bed of Fettuccini noodles tossed in our rich and creamy homemade alfredo sauce. Pasta shells baked in our rich homemade marinara sauce along with Italian sausage topped with loads of bubbly melted mozzarella cheese. Go ahead and indulge yourself! Tender and juicy Sirloin (7oz) hand rubbed with our private blend seasoning. Served with your choice of potato and our award winning hand made onion rings. Sam Adams Seasonal, Boulevard Wheat, Iowa Brewing Company American Lager, Blue Moon, Bud Light. Drink specials not eligible for happy hour. Generous bed of pasta covered in our rich homemade marinara sauce with Italian sausage. Served with garlic toast. Our tender and juicy ribeye steak marbled for peak flavor hand rubbed with our private blend seasoning. Served with a crisp dinner salad, warm dinner roll, choice of potato and onion rings. Well liquor. Drink specials not eligible for happy hour. Pasta shells baked in our rich homemade marinara sauce along with Italian sausage then topped with loads of bubbly melted mozzarella cheese. Served with dinner salad and garlic bread. Tender chicken cutlet, breaded and fried, served on a bed of spaghetti, smothered with our homemade tomato sauce, covered with mozzarella and parmesan cheeses, and baked until the cheese is bubbly and melts into every nook and cranny. Served with dinner salad and toasted garlic bread. It steals the show! Our two 4oz melt in your mouth filet medallions are sautéed in garlic butter to seal in the flavor. Served with crisp dinner salad, warm roll, potato and our award winning onion rings. Well liquors. Drink specials not eligible for happy hour. Capellini noodles with prosciutto, chicken, mushrooms and peas in a delicious cream sauce served with garlic toast and a dinner salad. Chardonnay, White Zinfandel, Merlot, Cabernet Sauvignon. Book your reservation online or call us at (515) 223-1463 during business hours. Reservations for parties of more than 12 must be made via phone. Number of Guests * 123456789101112 Please enter a date. Reservation Date * Please enter a date. Time * —Choose— Please enter a time. Please correct form field errors and try again. Enter your information below to receive special birthday and anniversary offers. The "Please include me in future communications from Maxie’s" box must remain checked in order to be added to the Club. First Name * Please enter your name. Birthday (Month)* Birthday Month1 - January2 - February3 - March4 - April5 - May6 - June7 - July8 - August9 - September10 - October11 - November12 - December Please enter a date. Birthday (Day)* Birthday Day12345678910111213141516171819202122232425262728293031 Please enter a date. Do you have a spouse or significant other? * No Yes Please enter a date. Spouse's First Name * Please enter your name. Spouse's Last Name * Please enter your name. Spouse's Birthday (Month)* Spouse Birthday Month1 - January2 - February3 - March4 - April5 - May6 - June7 - July8 - August9 - September10 - October11 - November12 - December Please enter a date. Spouse's Birthday (Day)* Spouse Birthday Day12345678910111213141516171819202122232425262728293031 Please enter a date. Anniversary (Month)* Anniversary Month1 - January2 - February3 - March4 - April5 - May6 - June7 - July8 - August9 - September10 - October11 - November12 - December Please enter a date. Anniversary (Day)* Anniversary Day12345678910111213141516171819202122232425262728293031 Please enter a date. Street Address * Please enter a valid email address. City * Please enter a valid city. State * StateAlabamaAlaskaArizonaArkansasCaliforniaColoradoConnecticutDelawareDistrict of ColumbiaFloridaGeorgiaHawaiiIdahoIllinoisIndianaIowaKansasKentuckyLouisianaMaineMarylandMassachusettsMichiganMinnesotaMississippiMissouriMontanaNebraskaNevadaNew HampshireNew JerseyNew MexicoNew YorkNorth CarolinaNorth DakotaOhioOklahomaOregonPennsylvaniaPuerto RicoRhode IslandSouth CarolinaSouth DakotaTennesseeTexasUtahVermontVirginiaWashingtonWest VirginiaWisconsinWyoming Please enter a valid state. ZIP * Please enter a valid ZIP code. Please include me in future communications from Maxie’s. The "Please include me in future communications from Maxie’s" box must remain checked if you'd like a resoponse to your inquiry. Maxie’s Restaurant is aware of the importance of protecting the privacy of our visitors. The information we collect here is invaluable to our company in terms of evaluating our product offerings and marketing efforts. Although we do use some personal information collected for our own marketing purposes, be assured that Maxie’s Restaurant, does not sell such information to other companies for any purpose.